PRIYANKA SAWANT Is A World Renowned Celebrity "Tarot Expert" Practicing In Mumbai & Pune, She is the devotee of “LORD SHIVA” & Her believe is what ever prediction she gives is due to her “LORD SHIVA” blessings…. 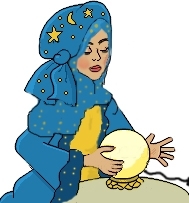 She Is Born Psychic.... She is the "Youngest Astrologer", As she started at the age of 12 as a hobby then took it as a profession as she enjoys guiding people for their better life. She was Felicitated by "Nakshtranche Dene" Astrology Foundation in mumbai as the "Youngest Astrology in mumbai" at the Age of 18yr. Only 29 years of age yet she have a very high accuracy in her predictions on any fields (Love, Money, Health, Work, Relations, etc). She is God gifted with the Psychic & Intuitive abilities & Palm reading, Crystal ball reading, Angel card reading, Pendulum dowsing, Tarot healing, Past Life Regression Through Tarot Reading....So she uses Intuition and Psychic senses with Tarot Cards Reading, Palm Reading, Crystal ball reading to look deep into the heart of the matters of your life & also counseling people. She has over 18 years of experience (Since 1998) in the field of astrology. She has been giving prediction since childhood. Around the World She has very high profile seekers (client) & students like Businessman’s, Jewelry Designers, Fashion Designers, Builders, Politicians, Actors / Actress , Celebrities, Directors, BPO Industry Employees, Engineers, News Paper Editors..etc. Felicitated by Nakshtranche Dene Astrology Foundation In thane at the Age of 18yr. "Astrologer Priyanka Sawant" ranking "No.1 Tarot Reader"of ASIA where she is not only representing "INDIA" but the whole of "ASIA" Continent... By Ranking Xtarot.Com. "Astrologer Priyanka Sawant" profile is featured among the "Top 5 on World Ranking Chart"...on the HOME PAGE of TAROT DIRECTORY of WORLD WIDE Tarot Readers on "www.xtarot.com" . She Is Regular Columnist for "Mumbai Messenger Weekly Newspaper" for a special featured column about "Celebrities" and readers advice column. She has written "Celebrity" articles in "Outlook Business Magazine" as a special featured column on her name. She Has Been Interviewed by the "Times Of India Newspaper"
Contact us for further detail We will get back to you shortly. We are spiritual people...we believe in God ....so for if you want any negative energies don’t call us.... as we dont provide.